It’s probably time you started taking care of you! 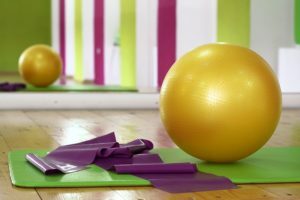 Pilates – Corrective exercise regimes designed to improve mobility, reduce knee, back and neck pain, strengthen the core and shoulder girdle. Enjoy being more flexible and mobile, and improve your overall postural awareness. for Pilates on the mat, including , Theraband, and ChiBall with focus on Traditional Chinese Medicine and the healing art; Tai Chi, Qi Gong, Yoga & Pilates. Pilates private training will be available from April-May 2019 . 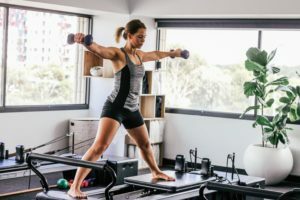 Private (one-on-one) Pilates-Reformer programs designed to meet your individual needs – correcting posture, strengthening and improving stability and mobility. Everything you want and nothing you’d expect. Bringing Mindfulness to life – ChiBall is an experience: a journey that starts with the rejuvenation of the body and emotions, and continues with a way of life that reflects harmony, balance and wellbeing, both within and without. Club members enjoy our Insights program offering inspiration, motivation on various platforms including face-to-face, social media and our virtual campus. The concept of fitness at a whole new level. Instead of training either your body or mind, instead of separating home and work, FETCH provides training that will coach the entire person to excel and reach their potential in ALL areas of their life whilst maintaining the ultimate work life balance that we all yearn for.